Techcelerate is evolving and as I like stories, it’s good to capture the stages it goes through together with rationales at the time. Based on recent internal discussions, Techcelerate’s core focus will be supported by three further services. Help Tech Companies of Manchester achieve their full potential and grow faster towards achieving £100m revenues. Help tech (product) companies raise Seed and Series A investment through strategy, re-positioning, investment readiness, investor introductions and post investment growth support. Core offering would be lead by Manoj and supported by David and Stuart. In addition to being a lead generation channel for Techcelerate, it will provide a platform for our customers to get their propositions out and learn from peers. Network will be developed by Alex with supported from Manoj and Stewart. No company can achieve success without the right talent. 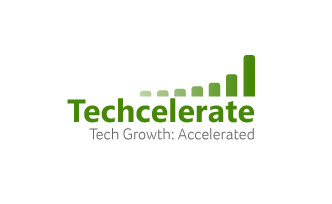 Techcelerate Specialists are here to plug skill gaps in our customers as well as to provide growth boosts when needed. Our recruitment partners are here to help you fill vacancies rapidly. Techcelerate Talent will be led by Stewart with support from Alex and Manoj. Everything we do will be underpinned by research. This will involve Surveys, Tools, Data and Insights. Will be lead by Manoj initially. It will also develop the initial ideas (secret sauce) of Phil.